Cheap flights from Amsterdam to Cape Verde from €198 return! 5* Cathay Pacific cheap non-stop flights London/Manchester to Hong Kong £364! Return and open-jaw flights from London to Vietnam from £321! Cheap flights from Amsterdam to Cape Verde from €198 return! Find below the cheapest flights to the island of Sal, Cape Verde from Amsterdam based on promotion of Transavia. (Fully owned subsidiary of KLM). Note that fare is for a roundtrip non-stop flight including all taxes however no checked-in luggage. Anyone who can easily reach Amsterdam and is planning to visit this African country in winter season 2018/2019 check out this attractive promo offer. Althought if its out of main tourist season at Cape Verde its not cold there by any means. Even in winter the temperature rarely drops below 20 degree Celsius. Ocean temperature usually floats around comfortable 23 degree Celsius. Do not miss this latest Transavia promotion and book cheap flights from Amstserdam to Cape Verde. Transavia promo sale offers the cheapest flights from Amsterdam to Cape Verde in November 2018 or end of January to end of March 2019. Below you can refer to our booking. Deal is based on direct booking with this charter carrier. 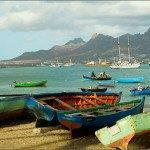 Simply follow below link and compare the cheapest travel options from Amsterdam to Sal, Cape Verde. Cape Verde is a country in West Africa. It comprises a group of islands of the Atlantic Ocean, west of Senegal. It is part of the region of Islands collectively known as Macaronesia. Despite its remoteness in elevation with all but 3 islands being mountainous. The lack of natural resources, its isolation from many other countries, and devastating famines in the later 20th century. Cape Verde has won a positive reputation in promoting what is considered the most stable democracy in Africa, a standard of living higher than most African nations, and one of the most politically liberal nations on the continent, and in the world. If you have booked these cheap flighs from Amsterdam to Cape Verde (Sal) you can read more about this country at Wikitravel. Need affordable hotel in Sal book your accommodation via Booking.com or Hotels.com. If you have booked these cheap flights from Amsterdam to Cape Verde you can also compare best prices for car rental in this destination via Rentalcars.com. Booking sample of cheap flights from Amsterdam to Cape Verde from €198 return! In this case you would depart from The Netherlands to Sal on 16th of March. Your return flight from this exotic African archipelago back to Amsterdam would be on 23rd of March 2019. Take advantage of this latest promotion from Netherlands to Sal or and book the cheapest flights from Amsterdam to Cape Verde!